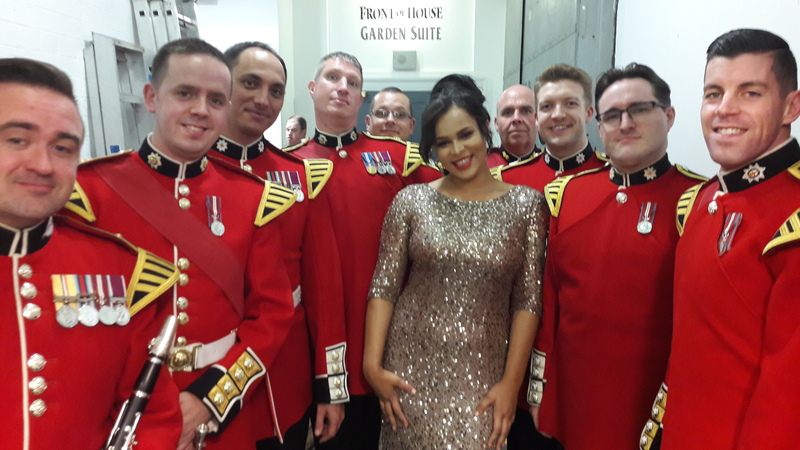 Nottingham teenager, Faith Tucker, astounded the audience at a charity concert with her sensational vocals, where she performed with X Factor winner Sam Bailey and the iconic Band of the Coldstream Guards. The seventeen year old, who lives in Clifton Grove, Nottingham, and studies at Ockbrook School in Derbyshire, was invited to perform in front of an audience of more than several hundred people at the fundraiser for the Army Benevolent Fund (ABF) Soldiers’ Charity. I caught up with the talented vocalist for a quick chat. Me: How did it feel to sing with the band of the Coldstream Guards and Sam Bailey? Faith: I felt extremely honoured to be asked to perform together with the Coldstream Guards. We rehearsed at Waterloo Barracks, a few yards away from Buckingham Palace. They were all so kind and helpful and the experience was truly amazing. It was also good fun to catch up and work alongside Sam Bailey again. She is absolutely brilliant. Me. At what age did you first start singing? Do you remember the first song you sang and the moment you knew that this was what you wanted to do? Faith: Yes I remember this well… It was originally an Irish poem called ‘The Last Rose of Summer’ It was my first ever ‘song and dance’ number that I performed at the age of eight. I often used to both sing and dance at various festivals. I quickly realised that I liked musical theatre and so my singing teacher at the time suggested I sang songs from Phantom as it suited my style of voice. She also introduced me to incredible arias sung by Maria Callas. That’s when I discovered my love for classical music too. Me; You currently live in Nottingham. Have you always lived here and if so what are your memories of growing up in the city? Faith: I’m very proud to say I was born in Nottingham. I have many happy childhood memories of the city. My favourite of all has been without doubt performing at the Nottingham Royal Concert Hall which I was able to do so on many occasions over the years. I Love all the opportunities Nottingham has to offer. Me: Have you found people recognizing you yet? Faith: I often have people come up to me and say they recognise me from seeing me perform at various events in and around Nottingham. I’m always happy to stand and have a chat. Me: Do you study music? Faith: I’m currently in my third year at the Royal Birmingham Conservatoire which has just re-opened following a £59,000,000 investment and which also saw it gain its Royal Status from HM The Queen. I feel incredibly privileged to have the opportunity to be studying at such a world class establishment. I am also studying ‘A’ level Music at Ockbrook sixth form in Derbyshire as well as having private singing lessons. My management company are also currently arranging for me to have several masterclass vocal training sessions in London which I am very excited about. Me: You composed a vocal ensemble and organ piece for the school choir to sing at Derby Cathedral, was that the first time you have done that and do you intend to write more in the future? Faith: Yes it was my first time I composed my own piece of music but it definitely won’t be the last. I’m really looking forward to hearing my piece performed I hope to be writing my own music in the future. Me: Where else have you performed? 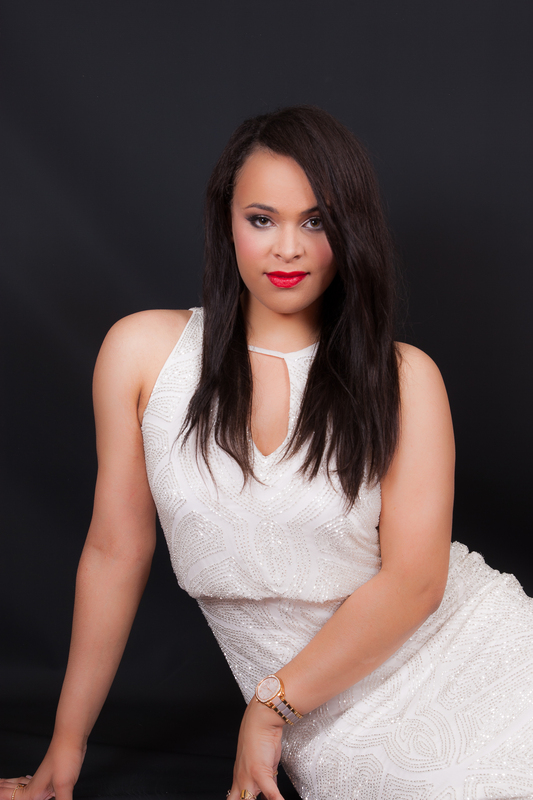 Faith: I’ve performed all over the country since signing with Champions UK plc, including beautiful venues such as Birmingham’s Symphony Hall, De Montfort Hall in Leicester, also Leicester Cathedral and Nottingham Royal Concert Hall. I have also enjoyed performing at London’s Dorchester and Carlton Hotels, to name a few, but one of my favourites was when I was asked to sing for Master Chef’s, Greg Wallace at his wedding at the beautiful Hever Castle in Kent. This was the ancestral home of Queen Anne Boleyn. Faith: Hopefully, I may have the opportunity to audition for West End work during the next year. I would also like to work alongside a major classical artist and maybe one day even tour Europe. However, I think it is important to learn as many different aspects of music which will help me in many ways as possible in my career for the future. In the short term though, I have just had my first three driving lessons………………….. ‘watch out road-users of Nottingham’ !! Teenage Fanclub interview: “Rock City is a legendary venue” Interview: “Bring out…Christmas jumpers and have a big party, Nottingham” Interview: ” I won’t be going to bed too late. 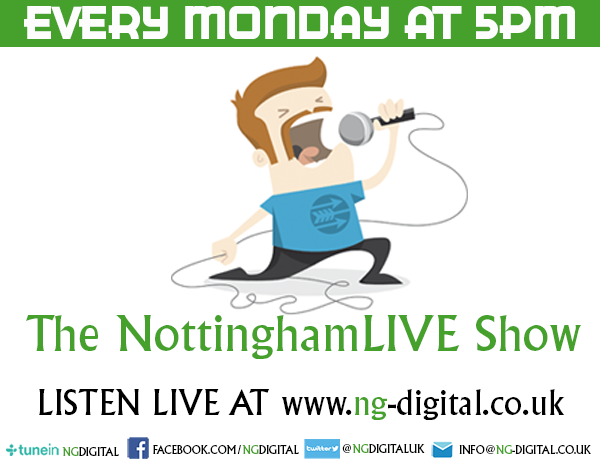 I shall have a hot cup of cocoa” NottinghamLIVE talk to Casualty heart-throb Tom Chambers. Interview: Bad Sounds in Boxes, Brothers and Back-stories.